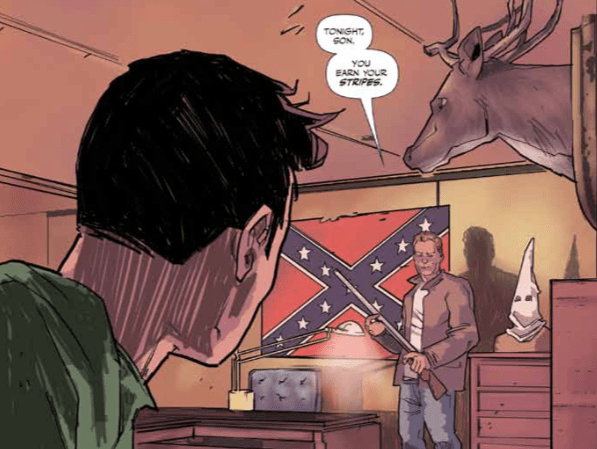 Vermont writer Jeremy Holt of Middlebury has written a graphic novel in four issues called Southern Dog, which tackles teen angst, the after-effects of a wolf bite and racism in the Deep South. Holt recently spoke to VPR about where the story elements for Southern Dog emerged, and what fueled the writing process. The issues feature illustrations from artist Alex Diotto and Holt says the story sprung from an interesting source. Holt will be signing copies of his book on March 28th at the Vermont Book Shop in Middlebury.